It is a move made to distract public attention from the scandalous sinking of frigate «Helge Ingstad», says Foreign Ministry spokeswoman Maria Zakharova. The jamming of GPS signals in Northern Norway was among the top issues raised by Zakharova in her weekly press conference on Thursday. «The Defense Minister of Norway Frank Bakke-Jensen has once again accused Russia of creating certain «disturbances» in GPS navigation signals that supposedly complicated civilian aviation in the northern parts of the country,» Zakharova said and underlined that it is all «absurd histories». According to the press spokeswoman, western politicians have made it a habit to blame Russia for «all kind of incidents» without providing evidence. She also makes clear that Norway is likely to have invented the accusation in order to «distract attention from the scandal with its newest frigate «Helge Ingstad». 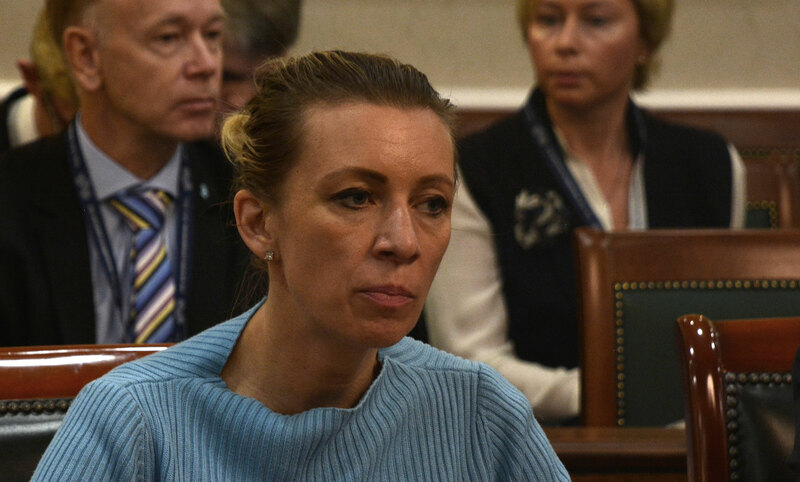 Zakharova says the collision between the frigate and the oil tanker could have had catastrophic environmental consequences and argues that it is about time Norway pays more attention to environmental protection. «After all, this is the second recent incident on the territory of Norway that could have posed serious threats to environmental security», she says with reference to the country’s alleged insufficient storage of nuclear wastes. It was on November 2nd, the Barents Observer could report about disruption of GPS signals for a flight by regional airliner Widerøe. Both Norwegian and Finnish aviation authorities issued warnings to all pilots in Eastern Finnmark and Lapland. A week later, a Ministry of Defense official in Norway confirmed that the GPS disturbances was caused by jamming from the Russian Kola Peninsula both before and during NATO’s large-scale exercise Trident Juncture which took place in Norway, but also included flight operations from the airport in Rovaniemi, northern Finland. Two weeks later, the Finnish Foreign Ministry summoned the Russian Ambassador to the country to a meeting. The reports about the Russian jamming consequently came several days before the sinking of the frigate «Helge Ingstad». It is not the first time GPS signals in northern Norway and Finland have been jammed. In spring 2017, the Norwegian Foreign Ministry confirmed that civilian aviation and communications systems have repeatedly been jammed in connection with nearby Russian military activities. The situation was similarly serious in September 2017, when airliners from companies SAS and Widerøe in periods had to navigate with the help of radio signals due to loss of GPS when they entered the East Finnmark airspace. Back then, the jamming coincided with the major Russian military exercise «Zapad».